Einstein’s theory of Relativity gets its own iPhone app | UNBELIEVABLE! 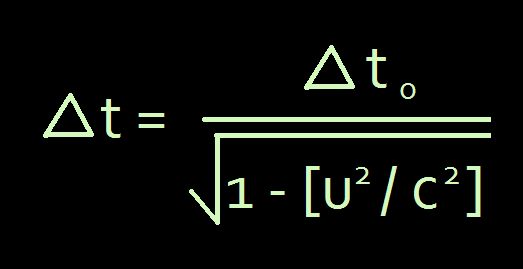 This is Einstein’s equation of Special Relativity. It states that, for any object moving with a velocity of u, the time that seems to elapse according to the moving object (delta t-zero) is different to the time it takes if measured by an observer at rest (delta t). Simply put: as you travel through space, you stretch time and make it tick just that little bit slower for you. But, of course, unless you are travelling close to the speed of light (c), you won’t notice a difference. Nevertheless, if you have ever wondered how many nanoseconds you have stretched when you’ve been for a brisk walk or a long journey, you now have a way to find out. A Japanese developer has invented the Einstein Pedometer, which will measure the time it took for your journey to elapse, and then use the necessary calculations to tell you the time it actually took, in your reference frame, allowing for Relativity. So, for example, the Einstein Pedometer may tell you that a journey has just taken you 15 minutes and 19.999999999827 seconds, as apposed to the 15 minutes 20 seconds that a regular watch would tell you. The app is a must for physicists and pedants everywhere. Posted on April 11, 2011, in Physics and tagged App, Einstein, Pedometer, Relativity, Technology. Bookmark the permalink. Leave a comment.